If the name and branded pattern alone does not stop traffic, the price might help. 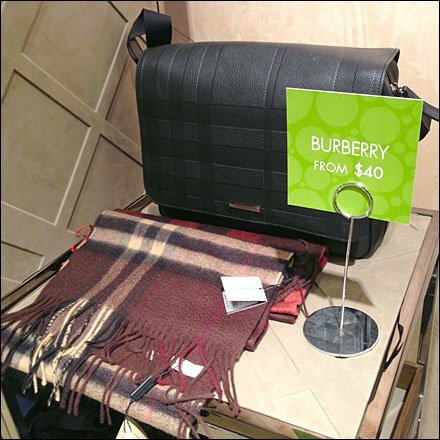 No I don’t think its the purse on sale, but the embossed Burberry pattern in leather would certainly intrigue my wife to check out all the merchandise. I must admit owning at least one Burberry shirt myself. Very classic and unique when we dress as paired Burberry ambassadors. 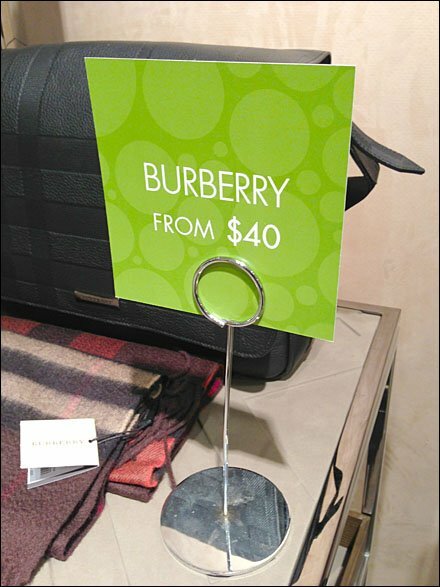 Too bad the sign does not include Burberry as background. The more branding the better.